My comment just evaporated! I said Ruby is actually already in our property here. Most of our native chickens are of that color, it’s good yours is far from ours, as it will be difficult to know which one is yours. We can say that they are all totally ours! hahaha! So funny – she is thankfully back and happy about it too. Just give her extra love and attention. Hi Barbara, i should have said Ruby is already in our property here. 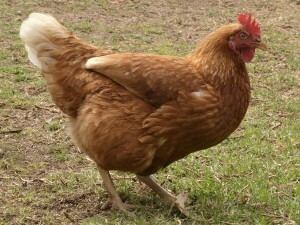 Many of our native chickens look like her, and some have lighter color but that hue also. hahaha! The last note Christine left on Blotanical for me was that Barbara was chasing chickens. That was months ago and I had thought it was a joke. I remember in the old days, a small part of the chicken wings were clipped off to prevent them from flying high. I have no clue which part of the wings but I know that it is just a small portion because it was not visible. What makes a chicken with a good home and a swimming pool decide she needs to leave or explore? Is she looking for a man? I’m curious. Hope you find her soon! Totally!! Just could not figure this one out. I guess when we changed the feed she went on strike! We got some new feed yesterday and all is back to normal. Weird how this can influence the emotions of a chicken! Oh NO!! That is very upsetting … I hope she finds her way home. All is well. Just so happy we found her. Now I know where to look next time she roams. THanks for the love!